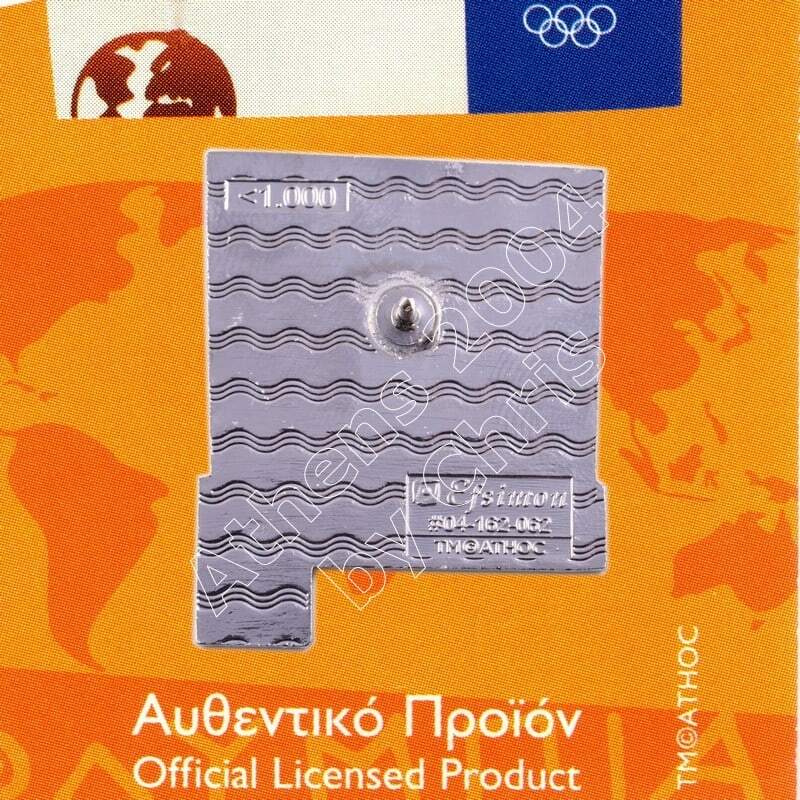 The Olympic Flame past from Greek City, Arta. 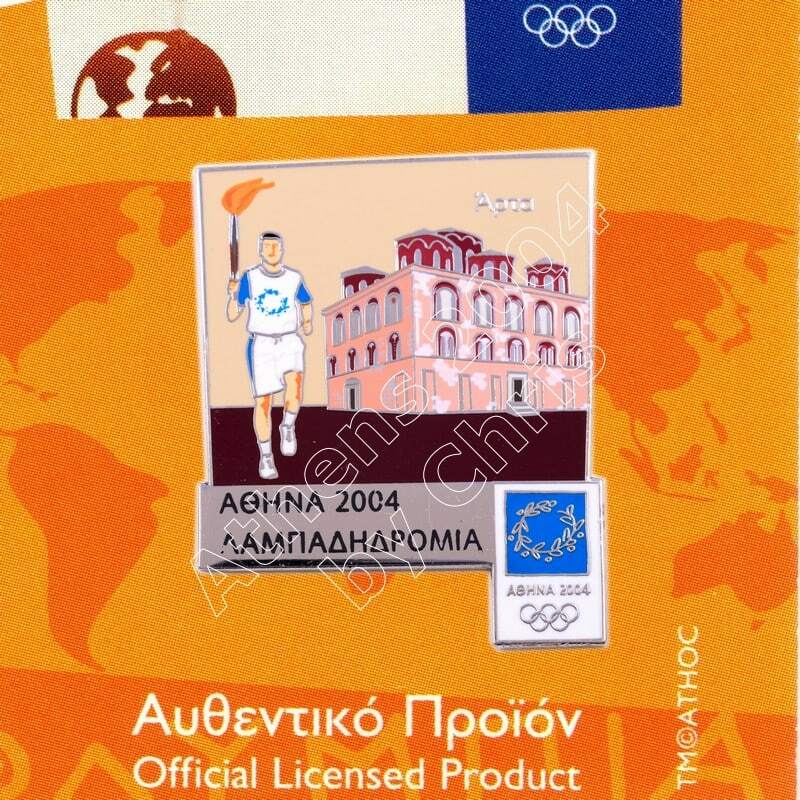 Arta is a city in northwestern Greece, capital of the regional unit of Arta, which is part of Epirus region. The city was known in ancient times as Ambracia. Arta is known for the medieval bridge over the Arachthos River. Arta is also known for its ancient sites from the era of Pyrrhus of Epirus and its well-preserved 13th-century castle. 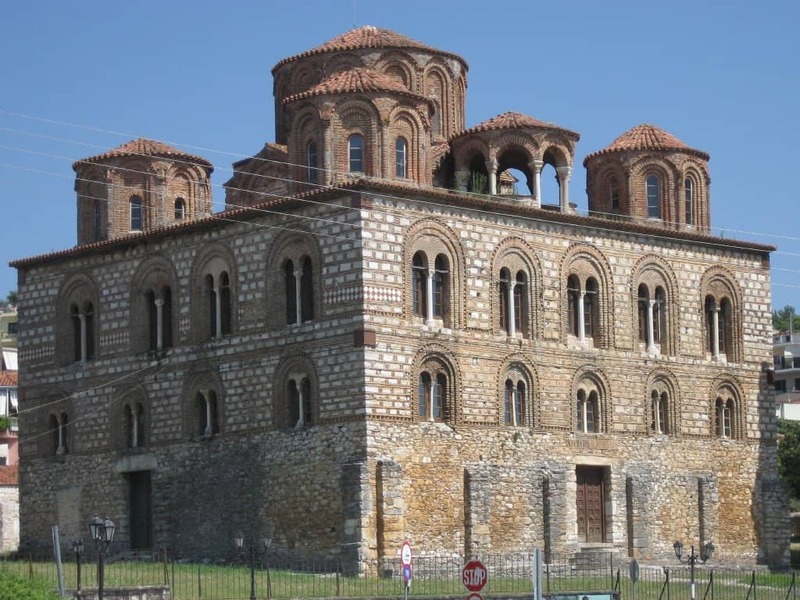 Arta’s Byzantine history is reflected in its many Byzantine churches; perhaps the best known is the Panagia Paregoretissa (Mother of God the Consoling), built about 1290 by Despot Nikephoros I Komnenos Doukas. The city is the seat of the Technological Educational Institute of Epirus. The Church of the Parigoritissa or Paregoretissa (Greek: Παναγία ? 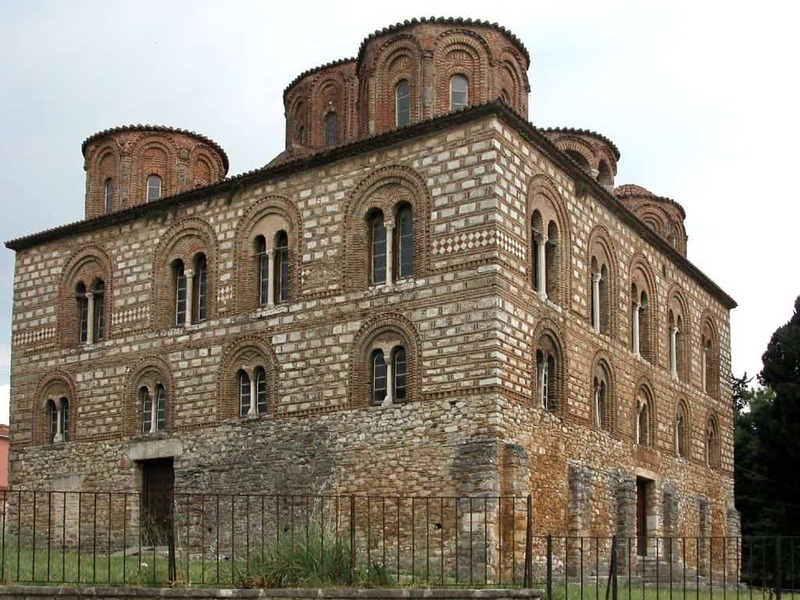 Παρηγορήτισσα, “Panagia of Consolation”) is the 13th-century Byzantine metropolitan church of the Greek city of Arta. Part of the building used to house the Archaeological Collection of Arta. The church was founded in ca. 1290 by the Despot of Epirus, Nikephoros I Komnenos Doukas (r. 1268–1297), and his second wife Anna Kantakouzene. 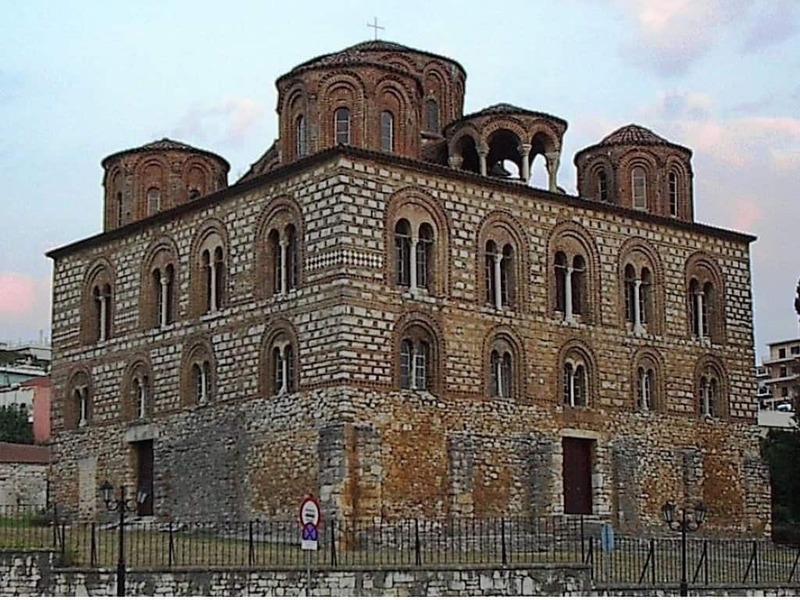 The church eventually became bankrupt, and was turned into a dependency (metochion) of the Monastery of Kato Panagia. In 1578, it is attested as a female convent. The church is a large, almost square three-storey building. It is of the octagonal type, with the central dome supported by eight piers divided into three tiers. There are also four smaller domes on each corner of the church’s flat roof, and a lantern. Its interior decoration is rich, with marble revetment up to the level of the galleries, and extensive surviving mosaics and frescoes above that. On the dome the mosaic of the Pantokrator, surrounded by angels, and 12 prophets between the drum’s windows. These mosaics were probably executed by artists from outside Epirus. 16th-century frescoes by the painter Ananias survive in the altar, while 17th-century frescoes decorate the main church. The church’s decoration also displays a number of Western influences in its statuary, such as Romanesque monsters and reliefs depicting Biblical scenes.